On Monday, September 10, 2018, Noveeta (Sis) Willingham lost her battle with the many complications of Wegener’s Granulomotosis with her devoted family by her side and went home to be with the Lord. Noveeta was born September 29, 1945 in Norman, Oklahoma to Otis and Juanita Loftis. Noveeta grew up in south Oklahoma City and attended Capitol Hill High School. 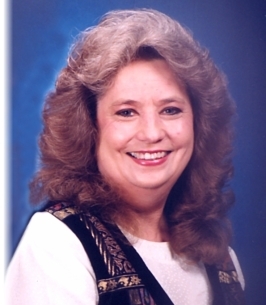 Noveeta worked in banking, as well as the family businesses, Home Care Pharmacy and Home Care Medical until she was called to the greater service of grandparenting. She was known for her generosity and loving heart. Whoever met Noveeta, met a friend. She was always rooting for the underdog and her loyalty knew no bounds. There wasn’t much she wouldn’t do for her friends or family or anyone in need. She enjoyed time at the lake house with family. The moments spent with her adoring grandchildren were her favorite pastime. Noveeta was an accomplished seamstress and donated dozens of her baby blankets to young mothers. Her greatest happiness came from serving the perceived needs of anyone whom she came into contact. Three brothers: Carl Loftis, Kenny Loftis and Roy Loftis. To send flowers to the family of Noveeta R "Sis" Willingham, please visit our Heartfelt Sympathies Store. We encourage you to share any memorable photos or stories about Noveeta. All tributes placed on and purchased through this memorial website will remain on in perpetuity for future generations. I am so sorry for the family’s loss. Death is one of the hardest trials to cope with. May you find comfort from the future promise recorded in Revelation 21:4 which says “he [God] will wipe out every tear from their eyes and death will be no more.” We have assurance from God’s word the Bible itself and we can be confident that he will fulfill his words. I'm so sorry to hear of the passing of Noveeta. I was a classmate of Noveeta from Jackson Jr High and Capitol Hill Highschool. She was one of the kindest people anyone could ever hope to meet. My thoughts and prayers to her family. Our condolences at this time for the family of Ms. Noveeta. May you be comforted by the fact that God is near the brokenhearted and crushed in spirit. He gives strength and peace. John 5:28,29.